Not too difficult, a left to right dog leg can play a little longer than it looks. 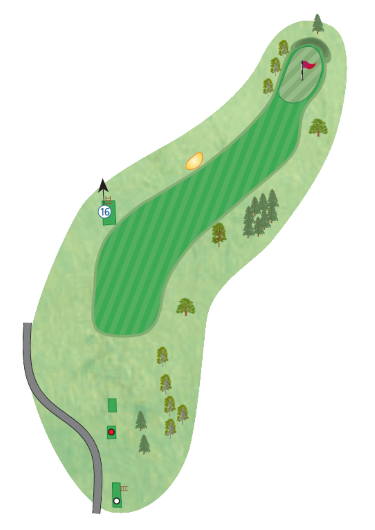 Fairway wood from the tee to get position at the angle, then a small iron shot into the green. Plenty of room once you reach the green but beware of the out of bounds to the left when teeing off.